The talking heads on the television say the big one is coming. For now, it’s Hurricane Florence, but both Helene and Isaac are hot on her trail. You know you’re supposed to stock up on nonperishable food items, batteries and, of course, water. But even if you have the rest of your budget-friendly emergency kit ready, water can be hard to buy in a pre-storm panic. You’ve already made the run to the grocery store, and the water aisle has been completely decimated. You even saw an old lady take a cane to a guy to get that last case of Dasani. It’s brutal out there. So if water is the most important item on your stockpile list (and it is), what now? You’re supposed to have at least a gallon per person per day for three to seven days, plus extra water for your pets. Fret not. 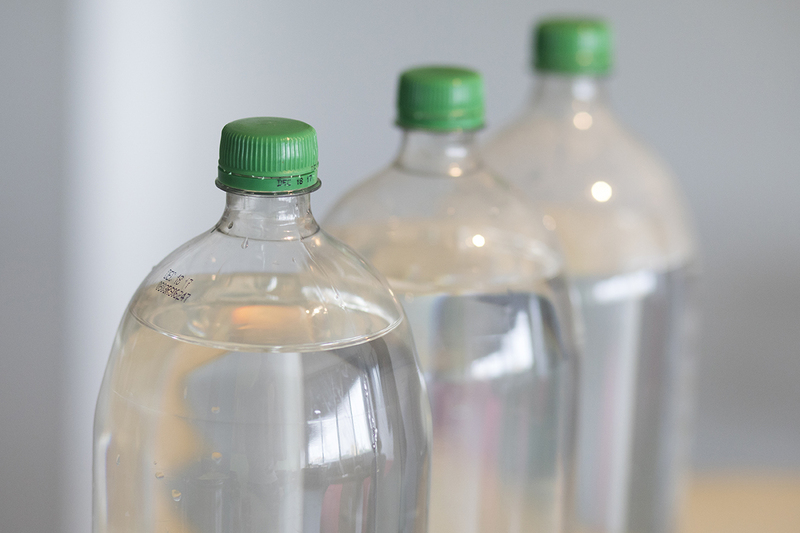 Here are a few simple hacks that can help you store up water for the suggested duration. You’ve probably seen this on every single hurricane emergency plan out there. It may not be ideal, but filling up your tub might provide all the water you really need. However, clean that bad boy out with a bleach cleaner and rinse thoroughly before filling. Consider this a last resort for drinking water. It also serves as a good source of water for your pets. Remember, if you have no running water, you can pour this water into the toilet to flush it. Picking up cheap soda can help in a pinch. No, you don’t want to use soda as a replacement for water — not even if you have rum. But in many stores, store-brand sodas are cheap enough to buy and dump out — then you can refill the bottles with clean drinking water. At a glance, my local Winn-Dixie sold its house-brand Chek cola for just 79 cents per 2-liter bottle. One gallon is 3.79 liters, so give yourself two of these bottles for each gallon you want to save. Prefer smaller bottles? Six-packs of 16-ounce bottled Pepsi products were on sale five for $10. That’s 30 bottles for $10. It’s not a bargain for water, but it can get you by in a pinch. Twenty-four packs of Dasani water were going for about $6 each during hurricane season last year, so the prices aren’t too far off the mark. Most big home improvement stores sell basic 5-gallon buckets with lids (that part is important to keep your water safe) for very little dough. At Home Depot, you can buy the Homer Bucket for just $3.25 and the lid for $1.68. Lowe’s has a similar bucket and lid for $3.25 and $1.48, respectively. Clean the buckets out with dish soap and water, then fill them and seal the lids tight. You should have plenty of water available without spending much money or fighting the grocery store crowds. While you may wish you could simply sip crystal-clear spring water from the giant supply of 16-ounce bottles you purchased, that may not be an option. You need water to survive. As long as you can find containers and follow some basic safety precautions, you can have enough on hand to weather the storm. Now hunker down — or evacuate if instructed to do so! — and take care of yourself and your family.